Let’s start our examination of the wing from the much talked-about “gull wing” section. 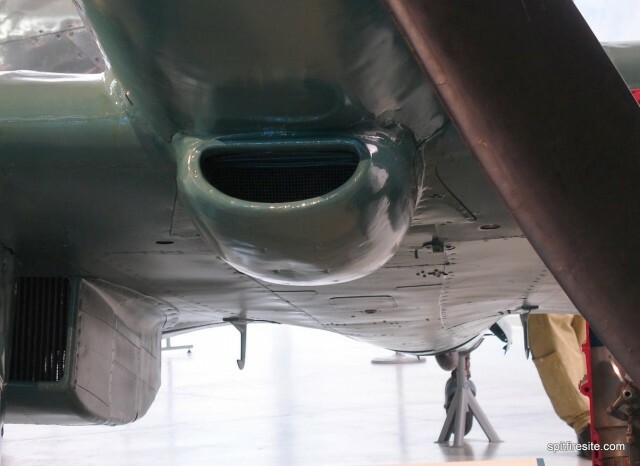 Because of the incidence angle of the Spifire’s wing, its trailing edge ended up rather low in comparison with the narrowing oval cross-section of the fuselage, In order for the two shapes to meet, Supermarine designed the rear centre wing with a camber shape – the famous “gull wing”, whose existence is known to all true Spitfire insiders! This is how it looks like viewed from the front.